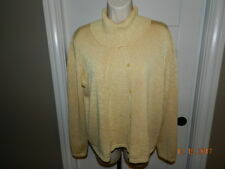 EUC 100% acrylic sweater tunic. The trendy new color for fall, perfect paired with leggings. Made in Australia. Shoulder to hem approx 27". 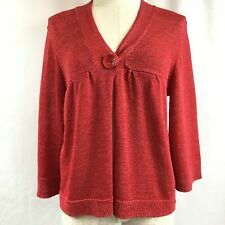 Josephine Chaus sweater/cardigan Sz Medium. Heavy knit, button down. Super Nice, excellent condition! Pet free and smoke free home! Show off your great style in this stunning sweater from Josephine Claus! Great - Has very little signs of wear and no flaws. Taupe w/Black Accent. Elegant Sweater. There are no spots on this Sweater. 65% Silk, 35% Nylon, fine knit. Mandarin Style Collar w/Frog Closure. including Silk Blouses, Neckties, Scarves, Leather Gloves etc. I may inadvertently omit information that you as a collector feel is important. Armpit to Armpit: 20". 100% Authentic. in good pre-owned condition. Length (Armpit to hem): 14". Josephine Chaus Lime Cardigan Sweater Jacket Size Medium M Gray Boho! Josephine chaus stylist sweater cardigan. super nice cardigan jacket size small. Armpit to Armpit is 17" so 34" across chest. Sleeve length is 17.5". From shoulder seam to hem is 20". Shoulders across is 14". Josephine Chaus. 1/2 Sleeve Crew Neck. Shirt Top Sweater. Solid Black. JOSEPHINE CHAUS SPORT. HENLEY PULLOVER. FROM SHOULDER SEAM TO CUFF 26". FROM SHOULDER SEAM TO HEM 26". MACHINE WASHABLE. COLOR WHITE. JOSEPHINE, Very Pretty! Rusty Red Color, shows more pink in pictures but is more of a red color. Soft silky stretchy thinner sweater fabric which almost is semi-sheer. Scoop Neck. 1.5" vertically ribbed banding around the bottom. Embellished Neckline (Ribbon Trim). Pullover Style Sweater. Short Sleeves. Beautiful set. L inner, M outer. Bust of inner: 19". Shoulder to hem: 22 1/2". Outer bust: 21 1/2". Shoulder to hem: 23 3/4". 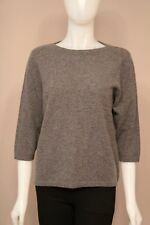 Josephine Chaus Black Knit Top Lightweight Sweater. 72% silk, 25% nylon, 3% spandex. Size small. Josephine Chaus Sport Hooded Long Sleeve Sweater. Size small, black, soft acrylic, front pocket. Length-top of shoulder to hem: 25. Sleeve-top of shoulder to cuff: 25. Ugly Christmas Sweater Naughty No Peeking Until Christmas Wine Bottle Holder Handmade Green Sweater SZ L. A whole bottle of wine will fit in the wine bag on the front. Or beer, or a wine cooler and a lot of jello shots! The cardigan is made from 73% Silk, 27% Rayon for Josephine Chaus clothing line. The cardigan is very stylish and can be used for work, casual wear, going to church, pretty much anywhere. 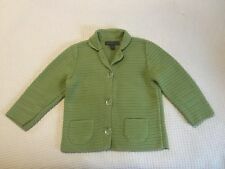 This cardigan is light in weight and in Excellent Condition. Loop Fringe. 15% Wool, 72% Acrylic,13% Polyester. 30" Tunic Length. SHOULDERS: 18". LENGTH: 30". Josephine Chaus. Size extra large. Details: Gorgeous cotton blend cardigan features square 3d studs in brushed silver color in neckline and pockets. Padded shoulders. Comfortable and stylish, perfect for work, travel and evening. Washing: Machine Wash Cold. Pre-owned Josephine Chaus Cardigan. Fabric Content: 65% Polyester, 35% Rayon. Color: Apple Green. Machine Wash. Straight Hem. Made by: Josephine Chaus. Color: Salmon. Fabric: 65% Poly & 35% Rayon - Washable. Length/center back neck to bottom: 24 ½". NO exceptions. I have listed a lot of expensive, gently worn clothing. Buy top quality - for a fraction of the price of new. Long Sleeve,Color Wine and Gold Sparkles, Turtleneck Collar. overall sweater top length is 27". Hand Wash Cold. sleeve length is 24". Retro 60's. with Big Buttons. It is made of 72%Silk, 25%Nylon and 3%Spandex. Great For Work Church School And More. Length: 23.5". This item is in good pre-owned condition. A lovely Josephine Chaus black sweater. Long sleeves. Easy to card for. Machine wash. Hang to dry. Needs no ironing. Fabric : Ramie / Nylon. Style : Beautiful button front full crochet cardigan sweater. However, there are fibers and dust on it but can be removed with cleaning. There is a hole on the bottom front of the cardigan. It still looks great! (See photos). It features a nice bluish-purple color with a solid pattern.